The World Judo Day initiated by the International Judo Federation aims to promote the values of our sport as the y have been designed from its inception. With the launch of this event, the IJF also wants to eventually come closer to the people who make judo alive on a daily basis in all the dojo around the world. The objective is to promote a global awareness on the values of judo and its education system to all judo clubs and judoka, through the Member Federations and with the help of the modern communication tools (website of the IFJ, social networks). This year's theme: "RESPECT". Judo clubs will be asked to take action "in" and "outside" of their club. IJF President Marius Vizer, right, said: "The International Judo Federation in its missions has the duty to develop judo in all sectors. When Master Jigoro Kano created judo in 1882, he wanted to create a means of education and he did it. This is the foundation of our discipline. Nowadays, I want this dimension to be better known by all the judoka and generally speaking by everybody. "Our discipline has values that grow naturally in the dojo and on the mat, particularly through the various exercises that all of us have learned in our club. These values must of course find a favourable echo in everyday life and beyond that, in the society. "October 28, the birthday of Jigoro Kano, will from now on be an annual day of awareness about judo and its values. This day will be the one of all the judoka. I wish that all practitioners, clubs, national federations and Continental Unions rally to highlight the greatness of judo. "This year the value of respect was chosen as the main theme of the first World Judo Day. But this worldwide action is not limited only to a single day, now we need to work to ensure its success and I count on you to be efficient relays. A specific website (www.worldjudoday.com) has been created, where you have the opportunity to interact with judoka from all over the world. The World Judo Day, 2011 edition (every year, this event will be organised with different themes), will be a great opportunity to develop activities in every single judo club without any kind of discrimination. It will be also a fantastic opportunity to show to the world that Judo is not simply a sport but an outstanding educational activity. The objective is to promote a global awareness on the values of judo and its education system to all judo clubs and judoka, through the Member Federations and with the help of the modern communication tools (website of the IFJ, social networks). This year's theme: "RE SPECT". Judo clubs will be asked to take action "in" and "outside" of their club. IJF President Marius Vizer said: "The International Judo Federation in its missions has the duty to develop judo in all sectors. When Master Jigoro Kano created judo in 1882, he wanted to create a means of education and he did it. This is the foundation of our discipline. Nowadays, I want this dimension to be better known by all the judoka and generally speaking by everybody. "This year the value of respect was chosen as the main theme of the first World Judo Day. But this worldwide action is not limited only to a single day, now we need to work to ensure its success and I count on you to be efficient relays. 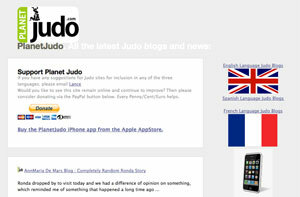 The IJF has launched yesterday the website dedicated to the World Judo Day, which will take place on October 28th, 2011. The theme of that first edition of the event will be “RESPECT”. La Fédération Internationale de Judo a lancé hier son site internet consacré à la journée mondiale du Judo qui se déroulera le 28 octobre prochain. 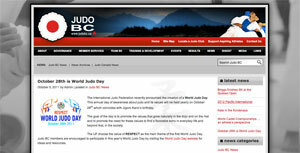 The International Judo Federation recently announced the creation of a World Judo Day. This annual day of awareness about judo and its values will be held yearly on October 28th which coincides with Jigoro Kano’s birthday. The goal of the day is to promote the values that grow naturally in the dojo and on the mat and to promote the need for these values to find a favorable echo in everyday life and beyond that, in the society. 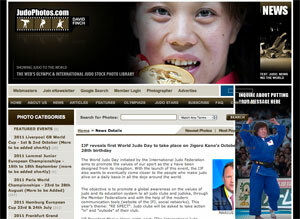 The IJF choose the value of RESPECT as the main theme of the first World Judo Day. Judo BC members are encouraged to participate in this year’s World Judo Day by visiting the World Judo Day website for ideas and resources. 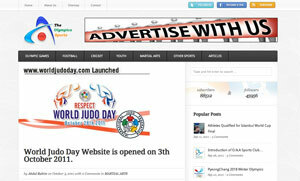 World Judo Day Website is opened on 3th October 2011. 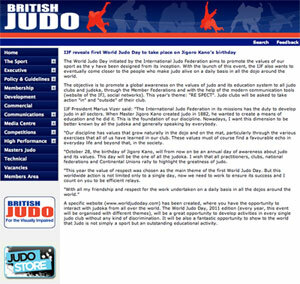 The IJF have announced that 28 October will be known as "World Judo Day". This date coincides with Jigoro Kano's birthdate (1860) and falls the day before our National Championships. The theme for the first World Judo Day is "Respect". Information about this initiative can be found atwww.worldjudoday.com, including some ideas on how your club may celebrate this important day. International Judo Federation has just announced on their facebook page that this October 28th is the World Judo Day. 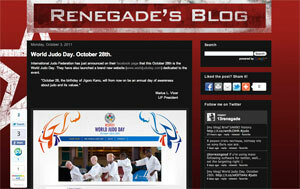 They have also launched a brand new website (www.worldjudoday.com) dedicated to the event. "October 28, the birthday of Jigoro Kano, will from now on be an annual day of awareness about judo and its values." Marius L. Vizer (IJF President). This is a formidable effort from the federation to promote the sport. Visit the website to learn more about the event. U petak 28.listopada 2011.g. održava se poseban događaj za sve prave ljubitelje i navijače juda, koji će se istovremeno odvijati na cijeloj planeti kao prvi do sada Svjetski Judo Dan. Biti će organiziran u čast Jigoru Kanu koji je rođen 28.listopada, točno dan prije održavanja Otvorenog Svjetskog Judo Prvenstva u Tyumenu, Rusija. Tema ovog jedinstvenog trenutka je "Poštivanje".